Louisiana is one of those special drafting states. Attorneys must proceed with great care when drafting the scope of a non-compete restriction by virtue of a strictly applied statute. Section 23:921(C) of the Louisiana Statutes provides that for a non-compete to be enforceable specific parishes or municipalities must be identified. Even if an employer conducts business throughout the state, a blanket prohibition on competing in Louisiana will be invalid. It is settled law in Louisiana that an employer cannot enforce a non-compete in a parish where it does not conduct business. For employers that want to restrict post-employment activities, therefore, it is essential to be consistent and include in the non-compete agreement only those parishes where it can show demonstrable business activity. If an employer chooses to be overinclusive and list, for instance, all parishes in Louisiana, this would not necessarily be fatal or render the covenant overbroad. Several courts, including a recent adversary proceeding in bankruptcy, have allowed an employer to engage in this practice and have blue-penciled the listed parishes where the employer does not engage in business. Another twist, however: the operative agreement must contain a clause allowing for such severing of the covenant. 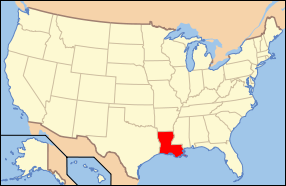 Finally, if the covenant applies outside Louisiana, the restrictions must also list out the prohibited territories by county. So for instance, if an employer chooses to restrict business in neighboring Texas, it too must list each Texas county it considers off-limits. Louisiana courts place a strange emphasis on over-technical drafting. It can certainly be argued that the practice of blue-penciling specific parishes or counties creates an incentive for an employer to be overinclusive and overbroad, knowing full well courts can strike specific locations without rendering the entire agreement unenforceable.